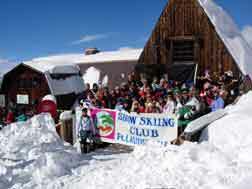 The Fort Lauderdale Snow Ski Club is proud to have been one of the Charter Members of the Florida Ski Council (FSC). The FSC is one of the largest groups of Ski and Snowboarders in the entire world! Currently, the FSC has 14 Member Clubs with approximately 16,000 Members located all over the state (listed below). This season Fort Lauderdale is attending 4 trips with the FSC, each with approximately 400 to 900 skiers and snowboarders. Talk about some really BIG PARTIES! out and send it into our Treasurer.